Tere the cheetah cub is the smallest - and cutest - member of our team! As you can see Tere is all about the FAST message - 'Tere' means 'FAST' in Te Reo, and there's nothing faster than a cheetah! He's also a great way to support the Stroke Foundation, and help stroke survivors get back on their feet. He's a perfect gift for a member of your family, and that same time, help us and stroke survivors out. 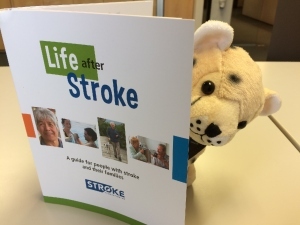 If you'd like a Tere, please email Simon at simon.bradwell@stroke.org.nz. And if you do, please take some photos of him - we'd love to see where Tere ends up and share his adventures! Check out our photo gallery below. You can also follow his adventures on Instagram, @strokefoundationnz. Or post your own photos and tag him in!